Alright, even as a self-professed coffee snob, I go to Starbucks sometimes. OK, like once a week - it's convenient, consistent, and I really like the cold brew iced coffee. Anyway, for as long as I've been going to Starbucks, I've lamented what I assumed was a lack of NFC payment support. Starbucks does not advertise that any of its stores support NFC payments in the US, and the card readers at most of its stores in the US, like the one pictured above, don't feature any iconography to suggest NFC is accepted. The terminal in the hero image of this post does show an Apple Pay icon on the screen, and maybe that is shown at Starbucks locations, but I can't say I've ever noticed it. What I did notice was this notification popping up every time I went in a Starbucks and then being profoundly confused. 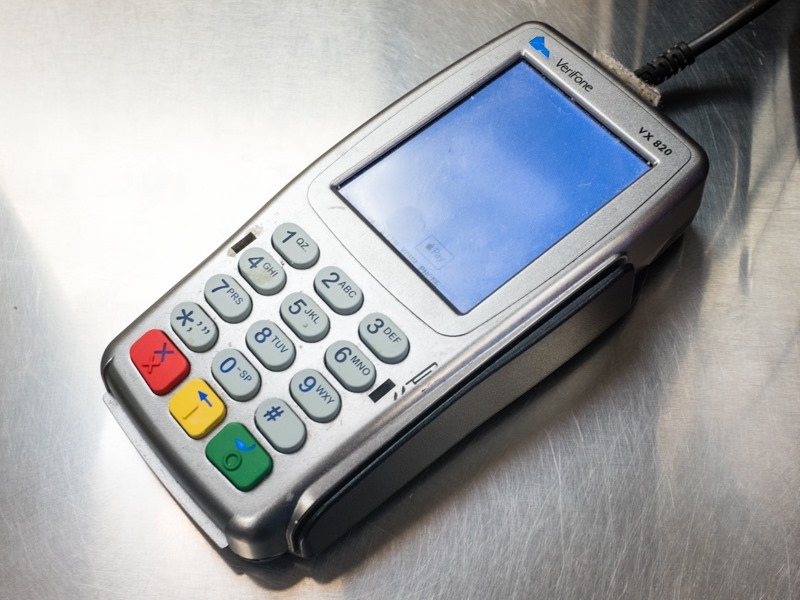 Anyway, if you go to a Starbucks in the US and they have this Verifone chip-style reader (photo via Reviews.com), it accepts contactless payments. I had no idea. The coil is below the screen, apparently, so that's where you tap. 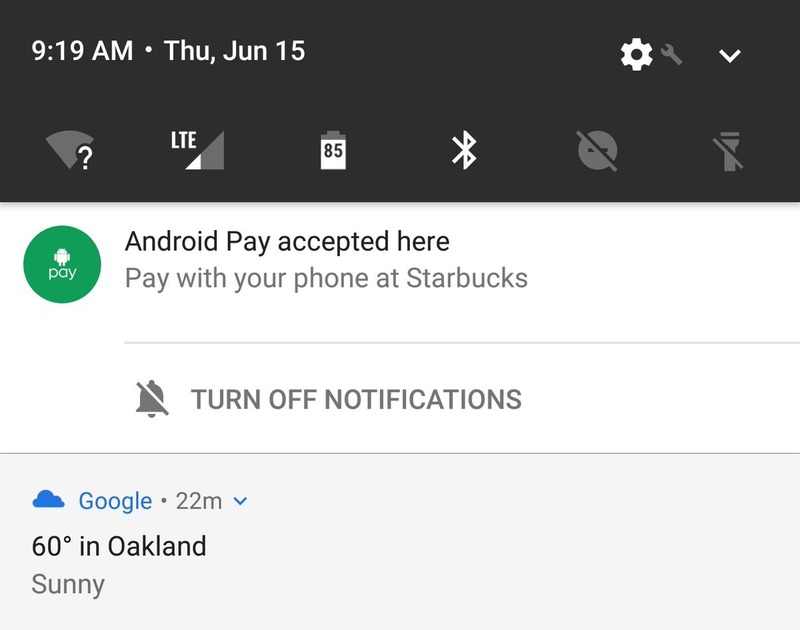 You may have to tell the cashier you're going to use "Apple Pay" (because nobody knows what Android Pay is) first in order for the contactless mode to become active, apparently. Starbucks' website indicates nowhere that the company accepts NFC payments of any kind (the only reference to Apple Pay I found is to a rollout in 2016). Starbucks does appear on Apple's Apple Pay partner page, but not on the one for Android Pay. It's extra-confusing because of the lack of any pay wave or other NFC iconography on this terminals to suggest they accept contactless payments at all. Starbucks probably does this sort of intentionally because they'd like you to make all your purchases using a Starbucks Rewards balance. Anyway, I found this to be revelatory. Maybe you didn't know, either (a bunch of you on Twitter did, though - so thanks to everyone who acted as a resource for this story). But yeah, if your Starbucks has a card reader that looks like the one at the top of this article, it should take Android Pay.